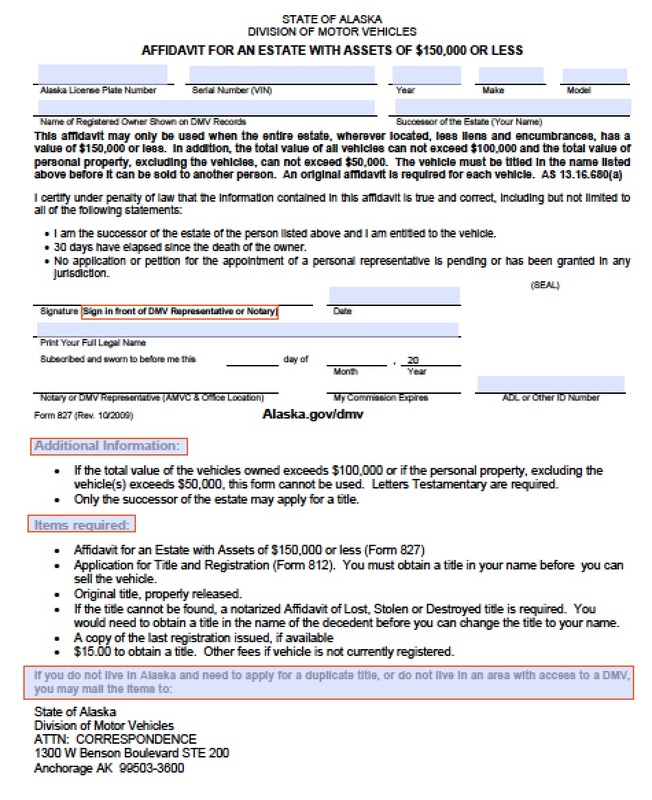 The Alaska affidavit of heirship is a form used by family member(s), heir(s), or a spouse to claim real estate that is believed to be rightfully after someone dies. 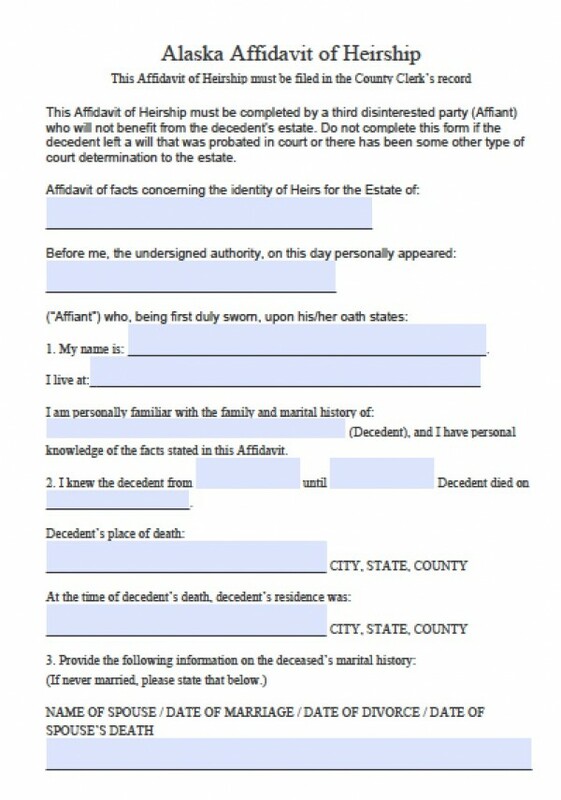 This form may only be used if the decedent did not write a last will and testament while alive. The county clerk may ask for individuals that knew the decedent to confirm the information listed on the affidavit. The affiant should fill-in the document to the best of their knowledge and have signed in the presence of a notary public. Step 1 – Download in Adobe PDF and Microsoft Word (.doc). Sign the document and make sure to do so in front of a notary public.